As a Church of England school our daily worships are an important part of the day. Each week there is a Christian theme that is explored through Bible readings, discussions, reflection and prayer. We start our week with a whole school worship led by a member of All Saints, our partner church. They also lead a singing worship on Wednesday where hymns old and new are learnt and practised. Fridays is our celebration worships, led by Year 6, where we recognise the achievements of pupils both academically with Headteacher awards for Achievement and Progress as well as for Effort and Enthusiasm. Children can also earn Fermor merits for courtesy, politeness and kindness in and around the school, which are collected and each week one person is chosen to receive a £5 book token. 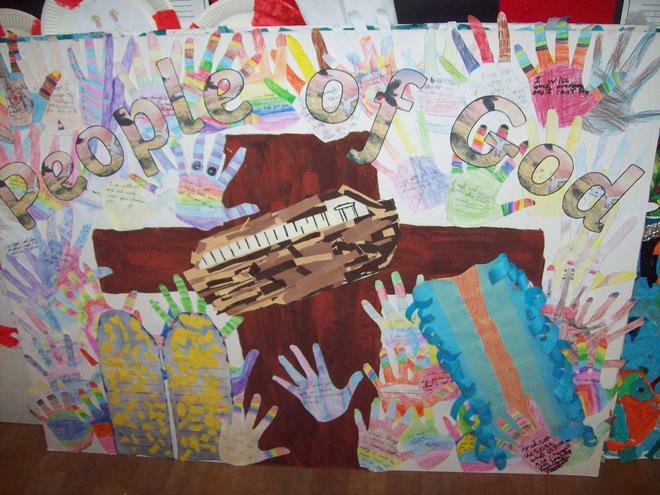 Other worships include key stage worships on Tuesdays where a bible parable or PSHE story is explored and discussed and British values worships on Thursdays to explore a variety of events or special dates. On the first Wednesday of each month the whole school meets at All Saints church and one year group leads the service focusing on their class value. They deliver the Bible message through art, drama, poetry or prose and we have a talk by one of the All Saints church leaders. We also have special worships to learn more about how to help and support others and showing respect to those around us by supporting both local and national charities and organisations. We have recently taken on a new scheme of work for our Religious Education teaching called Understanding Christianity. Each year group has a 'key question' they focus on for each term and this can be seen displayed in their reflection areas. There is also focus in other terms on world faiths where different year groups take time focusing on religions around the world. RE has a particular contribution to make towards the spiritual, moral, social and cultural education of each pupil. It involves learning about the Christian religion, the main world religions and our core values of inspire, believe, achieve. 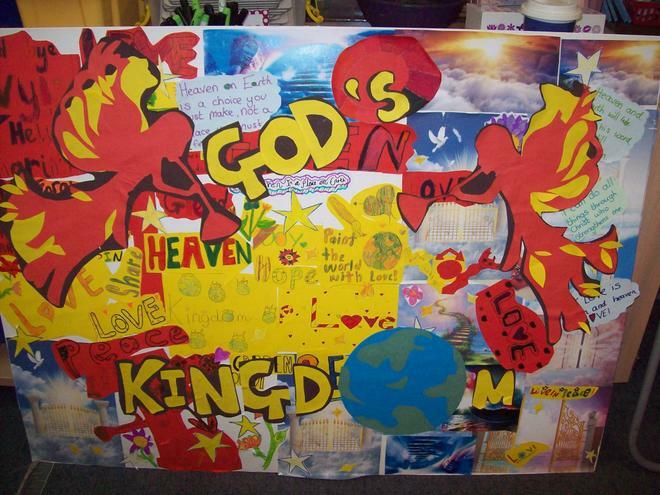 Our Christian learning comes through the Understanding Christianity scheme which develops pupils understanding of the Bible through the themes of Creation, People of God, Incarnation, the Gospels and Salvation. 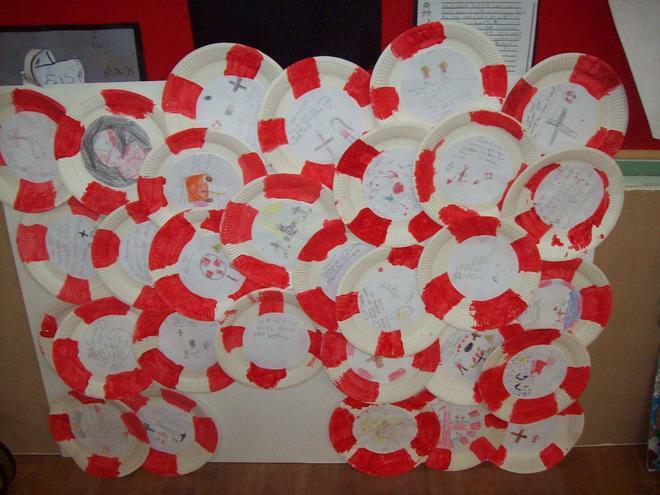 These themes are reflected in our worships so each pupil can explore, discuss and reflect on the key messages. 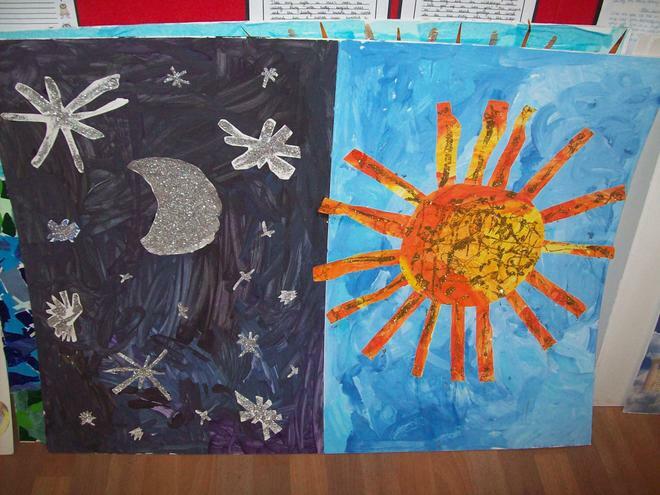 When exploring these themes the pupils are encouraged to use different areas of the curriculum to help support their learning, some of these being drama, art, role play, discussion, ICT, reading and writing. There are also visits to places of worship and visitors to school which help to engage and develop pupils’ understanding. We also have a duty to foster an accurate and increasing understanding of religions and world views. We encourage all pupils of whatever faith to explore the beliefs, rituals and festivals of others and to develop a deeper understanding of their own beliefs and practices. 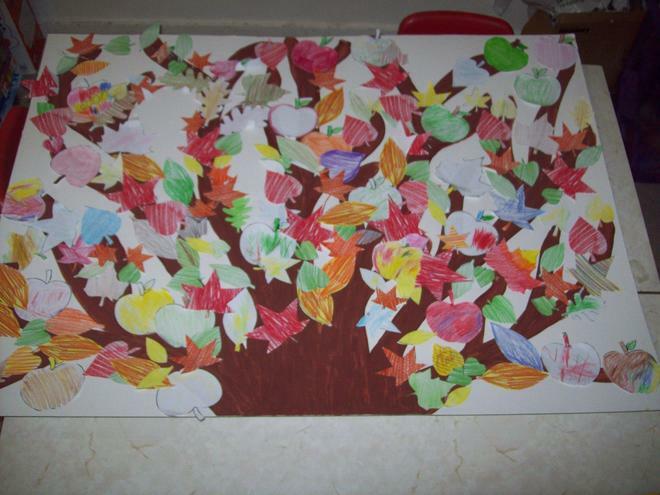 As a result, pupils will gain greater insight into the world in which they are growing up. These outcomes contribute to harmonious relationships within and between communities, promoting social inclusion and combating prejudice. Each classroom has a ‘Pause for reflection’ area and prayer tree to enable children to explore faith and spirituality in a safe, creative and interactive way. Why do Christians put a cross in Easter garden? What kind of King was Jesus? The new SIAMS Evaluation Schedule comes into operation in September 2018. Find out more. Bible week at Sir Henry Fermor with Sherlock Holmes. Sherlock Holmes visited us on the week of the 1st of October. We were presented with a series of clues that we had to solve all to do with the Big Bible Story. 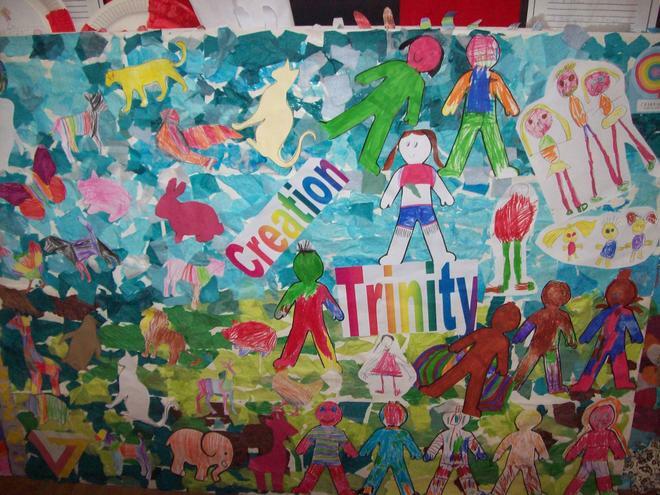 Our first clue was about Creation and Trinity. 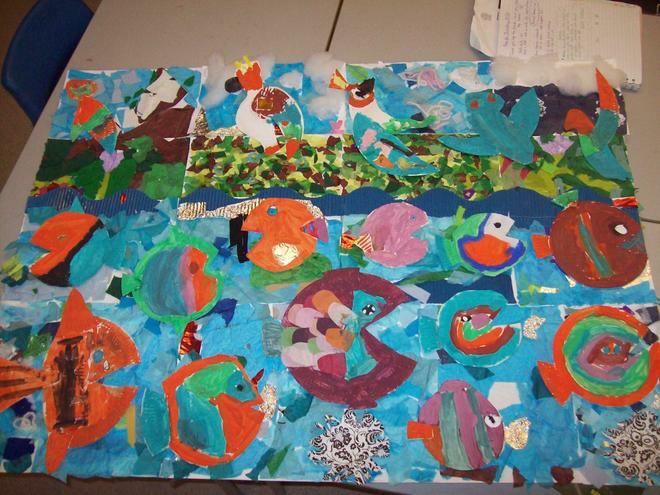 We found the pictures around the room about to do with creation and EYFS and KS1 were set with the task of founding out more about creation. They created a board of all their ideas. Our second clue was about Sin, Faith and Fall, where we explored the People of God and found the correct picture. Year 3 and 4 were given the task to investigate this further and created a wonderful board full of ideas. Our third clue was about Incarnation, Salvation and Gospel, where we explored the Son of God and solved the secret code. We then learnt a song about the Big Bible story to help us remember. 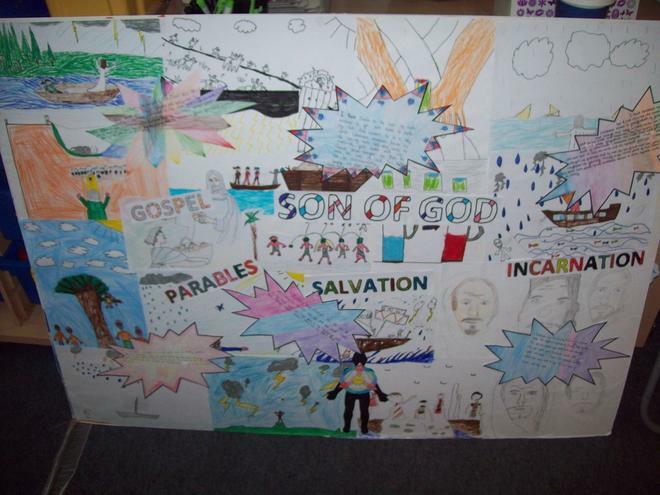 Year 5 were put in charge of creating a big board all about the Son of God. 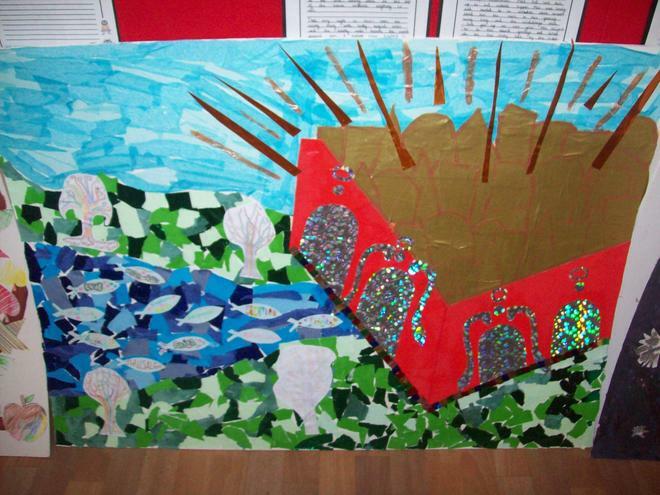 Our final clue was about Revelation, where we went on to discuss New Creation and found the matching bible picture. We explored New Creation in further detail and Year 6 made two amazing board full of all they found out about New Creation.